On April 27, residents of southern Brooklyn will join the rest of the world in commemorating the loss of millions of victims of the Holocaust. Sunday is Holocaust Remembrance Day, in which citizens all over the world pause to reflect on the lives lost because of Nazi atrocities and to vow to let it never happen again. In Israel, where Holocaust Remembrance Day has taken place every year since 1953, citizens will stop what they are doing at precisely 10 a.m. and remain silent for two minutes. In southern Brooklyn, Remembrance Day will be centered on Holocaust Memorial Park in Sheepshead Bay, where a ceremony will be held at 11 a.m. A broad coalition of religious leaders, community organizations, and ethnic groups will come together to remember the victims of Holocaust and to dedicate themselves to working toward the elimination of anti-Semitism, according to organizers. The internationally recognized date for Holocaust Remembrance Day corresponds to the 27th day of Nisan on the Hebrew calendar, according to the US Holocaust Museum’s website. The day marks the anniversary of the Warsaw Ghetto uprising. In Hebrew, Holocaust Remembrance Day is called Yom Hashoah. Six million Jews were systematically killed by the Nazis before and during World War II. 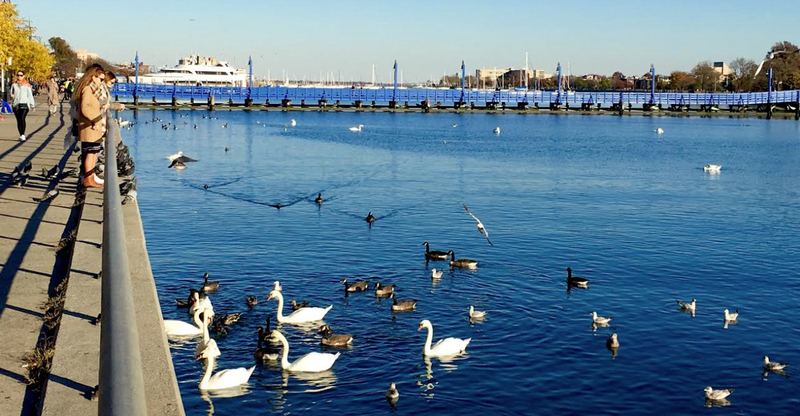 Holocaust Memorial Park, located on the Sheepshead Bay waterfront, contains a monument that stands next to a field of granite markers inscribed with the names of thousands of Holocaust victims. The park was officially dedicated by then-mayor Rudolph Giuliani in 1997. It was established through an effort by the Holocaust Memorial Committee with support from Sheepshead Bay community leaders and legislators. Holocaust survivors and children of survivors will be among the people speaking at the April 27 remembrance. Israeli consulate officials, local elected officials, and religious and ethnic leaders representing the Jewish, Coptic Christian, Azerbaijani, Korean, Serbian, and African-American communities have been invited to take part in the ceremony. Music will fill the air with performances by a gospel choir and a trio of musicians. Local children will recite poetry. The event will conclude with a solemn ceremony honoring victims of the Holocaust. The remembrance is sponsored by the Stop Anti-Semitism Foundation, a recently formed 501(c)(3) non-profit organization dedicated to fighting hatred and violence against Jews and other religious groups. While the Holocaust took place more than 70 years ago, violence and terror are still being used today by people who hate others simply because of their nationality or religion, said Dr. Vladimir Gressel, the organization’s founder. “Remembering the horror of the Holocaust and honoring its victims requires us to speak out against the violence and terror victimizing ethnic and religious groups today, he told the Brooklyn Eagle. “One of the lessons we learned from the Holocaust is that silence is not an option,” said Gressel, a Jew who emigrated from the former Soviet Union several years ago. Despite its name, the foundation doesn’t just fight against anti-Semitism. Members of the foundation have become alarmed by the violence and intimidation directed towards Christian communities in the Middle East, Africa and other locations in recent months, Gressel said. “I started the organization because I decided that in order to get something done, we had to bring Jews together with other groups and build a coalition of people to work against hatred. We as Jews have to put out our hand to Christians. The idea is to bring like-minded people together,” said Gressel, a physician specializing in physical rehabilitation. For more information about Stop Anti-Semitism Foundation visit stopantisemitism.org, the organization’s website.